Salespeople worldwide are struggling to stay relevant in the changing buyer-seller relationship. 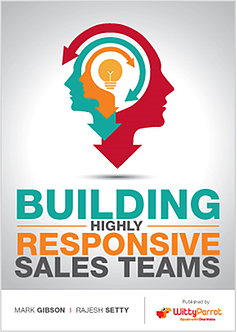 When buyers do reach out, they expect, insight, industry knowledge and responsive engagement. This eBook presents some new thinking on how new technology and process, combined with Inbound Marketing and real-time signalling, can transform sales performance and create a distinct and compelling competitive advantage. The sale today starts with the first touch the buyer makes by becoming an inbound lead when they accept your compelling offer on your Website. The odds of a lead entering the sales process, or becoming qualified, are 21 times greater when contacted within 5 minutes versus 30 minutes after the lead was submitted.